Georgian bookstores chain Biblus has just released its list of the 10 bestselling books in the country. The bookstore is already prepared for the summer season, which according to its marketing department is the most active season for readers in Georgia. In this regard, the bookstore offers a discount of up to 50% on every item one purchases at Biblus this summer, starting July 13th. CBW offers an exclusive list of Biblus’ best-selling books throughout the country. Most of the books on the list are foreign works by such authors as Bukowski, Harper Lee and Marquez translated into the Georgian. The Book Thief is a novel that centers around the life of Liesel Meminger, a nine-year-old girl living in Germany during World War II. Liesel’s experiences are narrated by Death, who details both the beauty and destruction that life in this era brought. After her brother’s death, Liesel arrives in a distraught state at the home of her new foster parents, Hans and Rosa Hubermann. During her time there, she is exposed to the horror of the Nazi regime and struggles to find a way to preserve the innocence of her childhood in the midst of her destructive surroundings. As the political situation in Germany deteriorates, her foster parents hide a Jewish man named Max, throwing the family into a state of danger. Hans, who has developed a close relationship with Liesel, teaches her to read in secret. Recognizing the power of writing and sharing the written word, Liesel begins to not only steal the books that the Nazi party is looking to destroy, but to also write her own stories and share the power of language with Max, the Jewish refugee. As Liesel copes with the trauma of her past and the violent horrors of the war-torn world around her, she embarks on a journey of self-discovery, the formation of a new family, and mostly, her life as “the book thief”. But secrets do not stay hidden forever, and after her father’s death the army starts watching their town-and Noria. 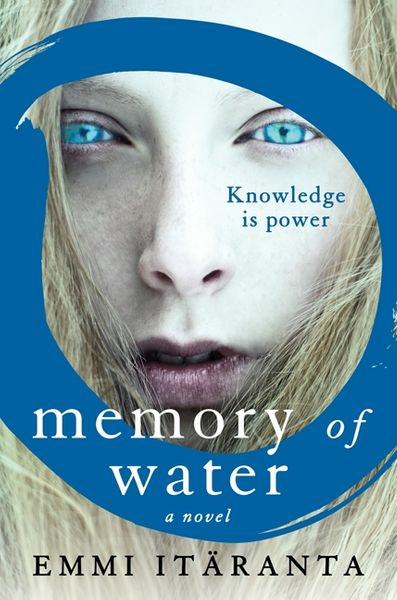 And as water becomes even scarcer, Noria must choose between safety and striking out, between knowledge and kinship.Imaginative and engaging, lyrical and poignant, Memory of Water is an indelible novel that portrays a future that is all too possible. 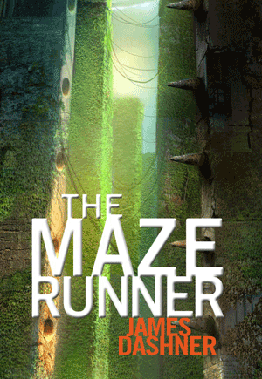 The Maze Runner is the first book in a trilogy written by the American author James Dashner. 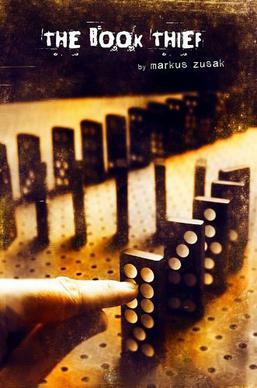 The book was first published in 2009. The similarities between The Hunger Games, Divergent and The Maze Runner are striking. Firstly, the setting is a post-apocalyptic world with an authoritarian regime, secondly a young teenage hero or heroine decides to fight against the rulers, and finally the heroes are being tested in a trial and have to fight for life or death. In 1983 the young people from Soviet Georgia had a passion for aircraft and tried to get to the United States in this way. Naive attempt was unsuccessful, the victims were between the aircraft and passengers. The kidnappers were killed, most of them appeared before the court. On a snowy day, Mia and her mother, Kat, her father, Denny, and her little brother, Teddy, decide to go for a drive. Not used to the snowy conditions, Denny losses control resulting in a terrible crash. When Mia awakens, she finds that she has detached from her body, which is barely holding on. She finds the bodies of her mother and father, who died from the crash. She also finds the body of her brother, who is on the brink of death. Mia realizes that she is having an out of body experience, and follows her physical body to the hospital. She watches her extended family rush to take care of her, while her best friend Kim and her boyfriend Adam struggle to reach the hospital. Through her stay at the hospital, Mia reflects on her life, reminiscing about the development of her relationship with Adam, the development of her passion and talent for playing the cello, and the obstacles of being a teenager who feels out of place no matter where she goes. Mia goes back and forth between deciding whether to stay with her remaining family, as well as Adam, or whether to leave to be with her parents and Teddy, who have all passed on. Her decision is almost made up to leave, until Adam finally reaches the room where her body is being held. He begs her to stay, and in that moment, she sees how her whole future would play out if she were to stay. And in that moment, she makes the decision to stay in the physical world, and she returns to her body. Bored housewife Ella feels stalled despite her gracious suburban life in Northampton, New England. Her teenage children are growing away from her; her husband is distant and unfaithful. Ella’s new job as reader for a publisher introduces her to Sufism through a manuscript she is sent to read, and has life-changing consequences. Opening with the exotic Lady Death entering the gumshoe-writer’s seedy office in pursuit of a writer named Celine, this novel demonstrates Bukowski’s own brand of humour and realism, opening up a landscape of seamy Los Angeles. Bukowski wrote some of his most violent, cynical, sarcastic, and shocking work during the final months of his life. Many critics have agreed this novel exemplifies Bukowski showing an acceptance of his own pending mortality. Hero Alex Cross is in fact a black senior detective in Washington, D.C., who is a psychiatrist and has a facile but not entirely convincing line of sentimental-cynical patter. The villain is Gary Soneji/Murphy,who kills for recognition, and finally kidnaps the kids of prominent parents. Alex is soon on the case, more enraged by Gary’s killing of poor ghetto blacks than by the Lindbergh-inspired kidnapping, and becomes involved with a gorgeous, motorcycle-riding Secret Service supervisor who is not what she seems. Soneji/Murphy is eventually captured–but can the bad part of him be proven guilty? 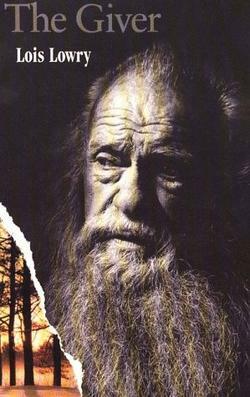 There is even a hint at the end that he may survive for a sequel, though the reader has virtually forgotten him by then. Spider reads fluently enough, but its action and characters seem to have come out of some movie-inspired never-never land. The novel has a disturbing scene in which Jonas witnesses his father euthanizing a baby by injecting it with a needle in the head. There are also mild sexual references. But the overall story is riveting and the book is one of the most thought-provoking novels for children ever written. 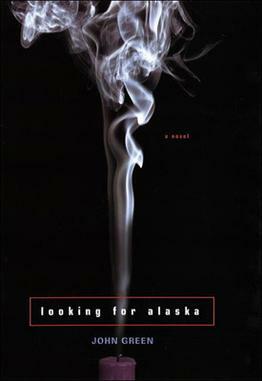 Looking For Alaska cannot be merely written off as a typical boy-meets-girl love story, because it isn’t. It’s more of a tale of how love isn’t as translucent as it seems.Miles Halter or “Pudge” as he is referred to throughout the book, is the protagonist, and the book starts with Miles leaving Florida to attend a school in Alabama. He’s introduced by his roommates to beautiful, mysterious and emotionally confused Alaska Young, and the story progresses, mostly centered around Miles’ life at Culver Creek and his growing attachment to Alaska. There are also essential parts of teenage life thrown in casually and skillfully to the story, such as pranks, bets and disastrous parties. The beauty of the book is that it doesn’t hide anything. It showcases what young love and growing up really are in a brutal and honest light. How the characters communicate, their relationships with each other, their pasts and the pleasure that comes with being a bad kid shine through the pages.